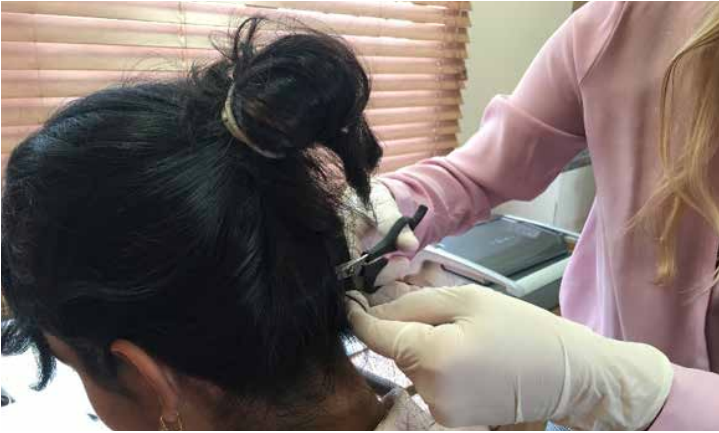 Tests of hair samples from hundreds of women in small-island countries and territories found 75 percent had mercury levels high enough to cause fetal neurological damage. Nearly 60 percent of the women had mercury levels exceeding a threshold beyond which brain damage, IQ loss, and kidney and cardiovascular damage can occur. The report attributed the mercury pollution in fisheries in these regions to air emissions of the toxic heavy metal emanating from coal-fired power plants and artisanal gold mining. The researchers have called for a complete ban on the trade in and use of mercury, and urged a transition away from coal power to renewables. The study took hair samples from 757 women between the ages of 18 and 44 years from across the Pacific, the Caribbean and the Indian Ocean. Nearly 60 percent of them were found to have mercury levels of more than one part per million, or 1 ppm — the threshold above which brain damage, IQ loss, and kidney and cardiovascular damage can occur, according to the U.S. Environmental Protection Agency (EPA). The mercury level associated with the onset of fetal neurological damage is lower, at 0.58 ppm, and the number of women whose hair samples exceeded that level for mercury was 75 percent, the study found. The researchers used hair samples from women ages 18 to 44 to analyze the mercury levels in their bodies. Image courtesy of IPEN. The study, published Nov. 19, was carried out by scientists from the nonprofit Biodiversity Research Institute (BRI) and IPEN, a global coalition of health and environmental groups. They took hair samples from women in 21 countries and territories — including Fiji, Barbados, Comoros, Sri Lanka, and the U.S. islands of Molokai in Hawaii and Saint Lawrence in Alaska — where industrialization remains low and the population relies on local fisheries as a major source of dietary protein. 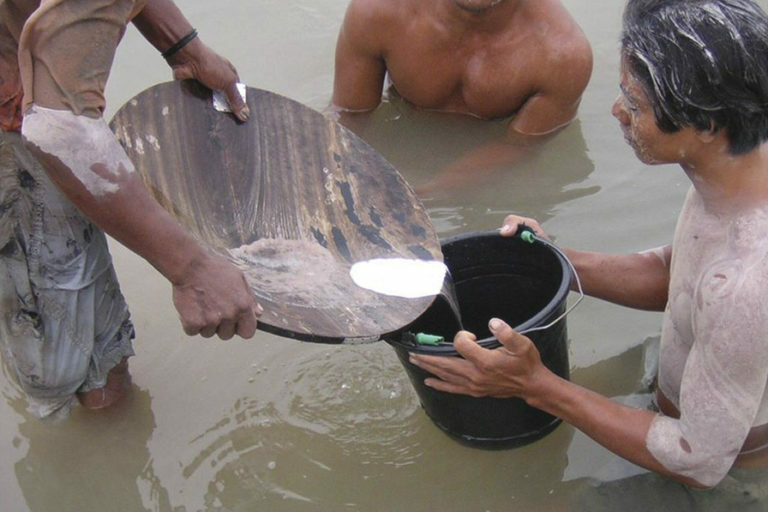 Mercury is commonly used in artisanal and small-scale gold mining. Much of the toxic heavy metal, burned off after being used to bind gold, ends up contaminating the ocean fish eaten by coastal communities. Image courtesy of IPEN. There are approximately 3,700 coal-fired power plants worldwide, with another 1,600 being built or planned. 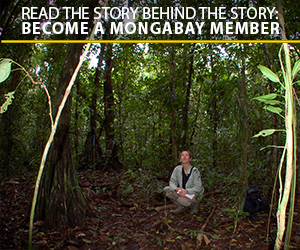 These additional plants would boost global coal-fired power output by 43 percent. 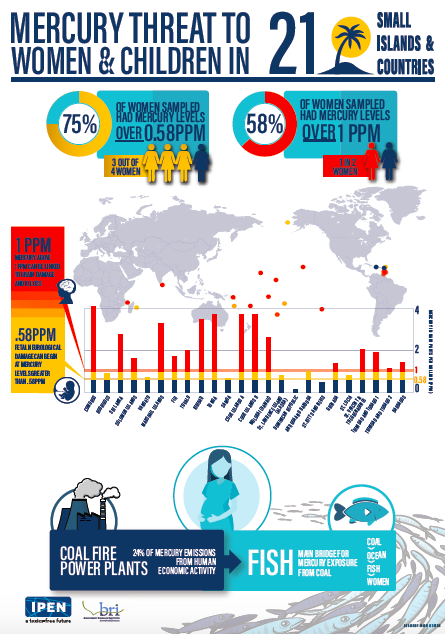 IPEN and BRI published a report last year showing that 86 percent of the 1,000 women of childbearing age they surveyed in 25 countries around the world had mercury levels above the 1 ppm safety limit, with most over three times that. He cited a recent report from United Nations Environment Programme that showed mercury pollution in the atmosphere had surged by 20 percent in the five years between 2010 and 2015 due to an increase in artisanal and small-scale gold mining and the operations of more than 3,000 coal-fired power stations. “If the Minamata Convention and instruments such as the Paris Agreement can’t deliver immediate action to end the global trade in mercury and replace coal-fired power with renewable energy, then politicians should seize the moment and issue unilateral bans on mercury imports and exports and declare an end to coal fired power,” Bell said. Banner image of mercury used in artisanal gold mining by Manuel Sadarriaga.